Stock market news today, September 4, 2014: U.S. stock futures were up this morning (Thursday) following a mixed trading session in the stock market Wednesday. Apple Inc. (Nasdaq: AAPL) – which accounts for nearly 9% of the Nasdaq – slumped 4.22% yesterday after a possible breach of its iCloud. As a result, the Nasdaq slipped 0.56% (25.62 points). Breaking Ground: Later this afternoon, Nevada Governor Brian Sandoval is slated to hold a press conference in Carson City, where he will likely announce the location of Tesla Motors Inc.'s (Nasdaq: TSLA) new $5 billion Gigafactory to produce electric batteries for its vehicles. According to a report on CNBC yesterday, Tesla is still in negotiation to ensure the price is right in Nevada. The new plant is expected to provide enough battery power for more than 500,000 electric vehicles each year, and numerous jobs for the chosen area. 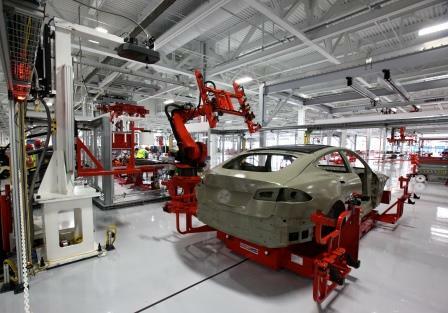 Tesla had previously scouted locations for the plant in Arizona, California, Nevada, New Mexico, and Texas.